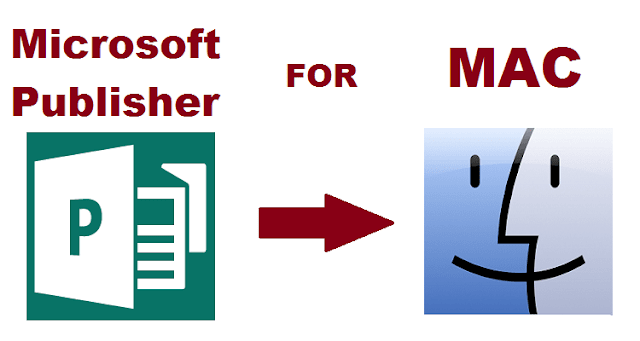 Microsoft Publisher also known as MS publisher is a great tool when we talk about desktop publishing program. It can be used to create several publications. It is one of the best publishing tool if you want to create newsletters, business cards, calendars, etc. It focuses mainly on the page layout when you compare it with proofing and composing texts. If you for looking for Mac Equivalent to Microsoft Publisher then you are at the right place. In my earlier post I have written about how to delete Netflix history. In this post I will show you some top alternatives to Microsoft Publisher for Mac which you can easily download for free. But before that let me inform you that the contents of this blog are updated frequently. So don’t forget to subscribe to my email list to get useful contents of this blog in your Email. If you are using Mac computer, also check my post on best Adobe Lightroom alternatives for Mac. You can download any of this Mac Equivalent to Microsoft Publisher software and start using it on your Mac computer. Pages is a great desktop publishing tool as well as Mac word processor introduced by Apple. It is available in several languages. You will not be charged anything as it is free of cost. It helps to create documents with attractive designs. It is one of the best alternative to Microsoft Publisher available for Mac, iPhone, iPod, etc. You can add any images, movies or charts using this app. It is a robust desktop publishing app. It enables you to enhance you document with 500+ editable shapes in their library. You can easily wrap texts around images with this tool and there are many more features like which makes it a number one choice for users. You can download Pages from official iTunes store now. 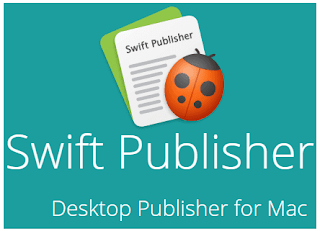 Swift Publisher is another great desktop publishing app for Mac. It is introduced by BeLight Software company. It is available for Free Trial. Then later you can buy it. It will help you to create professional documents like flyers, catalogues, brochures, posters, menus, social network covers, calendars, etc. It has a stylish interface which quite user friendly. It is touch bar supported and it gives high performance as compared to the earlier versions. It has over 300 pre-designed templates. It can easily create Master Pages for you. If you are looking for something really unique and good, then I would recommend you to get the paid version of Swift Publisher for your Mac computer. Download Swift Publisher now. Publisher Plus for Mac is a user friendly page layout and desktop publishing application specially made for Beginners and Expert users. It is introduced by Pearl Mountain Software organisation. You can easily create brochures, flyers, posters, magazines and newsletters using Publisher Plus for Mac application. There are over 170+ professional templates available with different designs and layouts. You can download this software from their official website. iStudio Publisher is another great alternative to MS Publisher for Mac. You can create attractive documents with iStudio Publisher. It is a robust tool with instinctive page layout. It is a perfect package for people who wants to design brochures, posters, newsletters, etc. Using iStudio you can easily create beautiful and high quality documents such as menus, reports, invitations, greeting card, etc. It is quite easy to learn as they provide easy to learn video tutorials on their website. You can download it from iStudio Publisher website. Last but not the least Scribus is another great page layout and desktop publishing software. It is a best alternative to Microsoft Publisher for Mac. It is released in 2003 by the Scribus Team. You can create professional high quality documents, catalogues, brochures, posters, newsletters, etc using Scribus. It is available under General Public License. If you are looking for a free option, then I would recommend you to use Scribus. You can download this software from Scribus website. So these are the 5 best alternative to Microsoft Publisher for Mac. You can download any of this software free of cost from their respective portals. Do let me know through comments how this post has helped you. Don't forget to subscribe to my email list to get more useful tips of this blog in your Email. If this post has helped you, then do give us a G+ and a Facebook like below. You can also share this post with your friends from the social network buttons given below.